The issue of non-disclosure is not novel. Our courts have decided numerous cases on the issue and the legislature promulgated s59(1)(a) of the Long-Term Insurance Act, No 52 of 1998 and s53(1)(a) of the Short-Term Insurance Act, No 53 of 1998. These provisions provide that an insurance policy cannot be repudiated on the basis of non-disclosure unless the non-disclosure was likely to have materially affected the assessment of risk underwritten by the insurer at the time of the issue or variation of the policy. In the case of Basson v Hollard Life Insurance (2018) 4 All SA 77 (GJ), the defendant rejected the plaintiff’s claim on the grounds of the deceased’s alleged misrepresentation, and non-disclosure, of certain facts to the defendant at the time when application was made for the life policy. The court confirmed the position that an insurer has the right to avoid a contract of insurance not only if the proposer had misrepresented a material fact but also if he had failed to disclose one. The duty to disclose in insurance contracts arises automatically by law. For the non-disclosure to be legally relevant it must be material. It would be regarded as material if a reasonable, prudent person would consider that the information not disclosed should have been disclosed to the insurer so that the insurer could form its own view as to the effect of such information on the assessment on the relevant risk. In the Basson case, the court ultimately held on the facts that the insurer was entitled and justified in avoiding the policy. In the matter of Jerrier v Outsurance Insurance Company Limited (2015) 3 All SA 701 (KZP) the full bench of the Kwa-Zulu Natal division interpreted the effect of non-disclosure in a short-term insurance policy. The court a quo held that the appellant’s failure to report earlier “incidents” in relation to which he elected not to lodge claims for his own personal reasons, amounted to a material non-disclosure which absolved the insurer from liability for the subsequent accident. Considering the wording of the specific policy as well as the duration of it, the full bench overturned the decision of the court a quo. 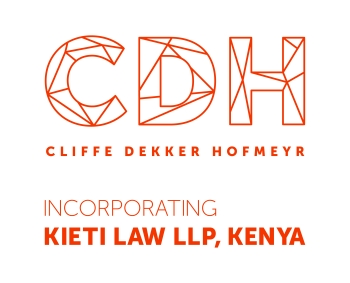 The court held that the specific policy was not one which was subject to annual renewal assessment of risk and therefore there was not a duty on the insured to disclose the two incidents which arose during the duration of the contract. The court confirmed, however, the position in relation to a duty to disclose material information at the commencement of the contract. It is important to bear in mind that regardless of the recent and much-publicised controversy relating to non-disclosure, the duty to disclose material information stands from a legal perspective as well as a business perspective and the subject of the non-disclosure does not necessarily have to be linked to the event that leads to the claim.